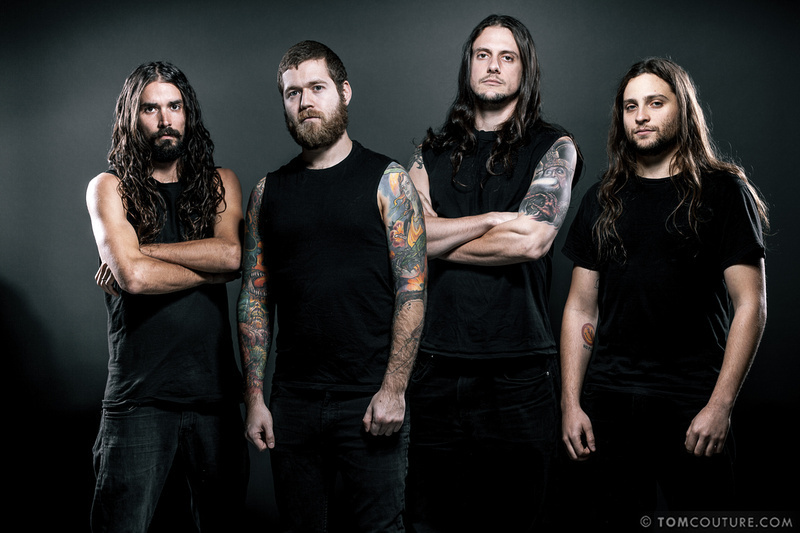 Massachusetts metallers REVOCATION have entered the studio to begin work on the follow up to their critically acclaimed 2011 Relapse Records release Chaos of Forms. This will be the first full length album with bass player Brett Bamberger who joined the band in 2012 and was featured on the band's last EP Teratogenesis which was released by Scion AV. "What's up guys, today we've entered the studio to record our upcoming full length with long time producer and drinking buddy Pete Rutcho. We'll be recording the drums at The Brick Hithouse Studio and then finish up the rest of the tracking at Damage Studios. This is shaping up to be some of our most aggressive material to date and will be the next logical step forward from our last EP. The songs on this upcoming record have a great deal of diversity to them and employ a variety of different techniques, tunings and tempos. We are incredibly stoked to begin this process and can't wait for our fans to hear the finished product. More details as they develop..."
The band will take a quick break from working on their new album this Spring when they hit the road with Goatwhore, 3 Inches of Blood, and Ramming Speed. REVOCATION joins the tour in Bucksport, ME on April 28th and will play six shows winding things down in Toronto on May 3rd. A complete list of dates is below. Updated REVOCATION news and tour information will be made available at the Relapse Records website, & the REVOCATION Facebook page. Check out ChiIL Live Shows original Revocation show shots and past features here. We've also got a sweet video interview coming soon.